You might wonder what ikat textiles originating from Central Asia have to do with controversial comments that got an NPR correspondent fired from his post. Come along as I share with you a true highlight of my recent trip to Washington, D.C. and how it weaves into the fabric of current events. Walking around tony Embassy Row in northwest Washington, I happened to discover and visit the Textile Museum. The day I visited was the second day into its new exhibit, Colors of the Oasis: Central Asian Ikats. Despite the subject matter’s obscurity, I was compelled to write about it. Ikat fabric consists of a warp or weft yarn that, prior to weaving, has been bound and dyed to create a pattern. When the ties and bindings are partially removed, additional dye baths can be given to the unwoven yarns to create more elaborate patterns. Ikat designs cannot be traced further back than the early nineteenth century in the Central Asian region, and are regarded among the finest fabrics of any period from the Islamic world. Few areas of the world have had more cultural influences than Central Asia. For example, the Uzbeks wove silk and cotton called adras. The Tajiks wove all silks, and the Central Asian Jews, who migrated from Iran, wove gossamer silk called khalili, and it was often tie-dyed – another form of resist dyed fabric related to ikat fabric. The Textile Museum’s Megalli Collection of ikat garments displays a richly artistic aesthetic spanning about a century. Both men and women in Central Asia dressed in brightly colored, loose fitting, full cut, flowing, layered garments. Ikat fabrics were used to decorate both the body and the home, and were intended to be multifunctional as room dividers, table displays, and as floor and wall coverings. Ikat designs were created to consider the pattern and the use of space to create visual impact. Motifs were generally less literal but more suggestive of an image in the mind. Ikat fabrics and garments may be perceived as exotic because of their strikingly unusual, very colorful, and exciting patterns. 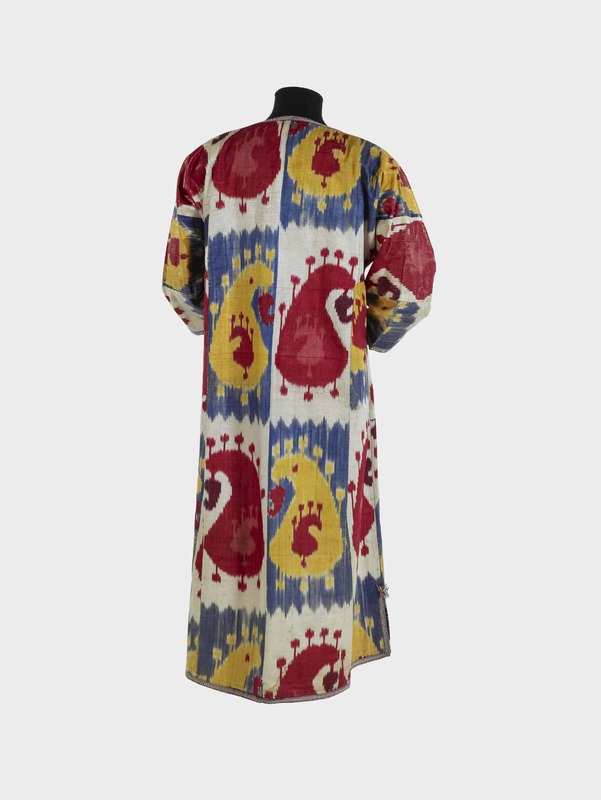 Looking at ikat garments originating from Central Asia, they represent distant countries, and unfamiliar cultures. 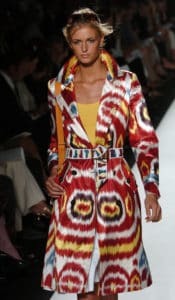 Still, even modern day Western fashion designers like Oscar de la Renta, pictured at right, from the spring 2005 runway [image: The Textile Museum/Getty Images], Missoni, and Jhane Barnes have been inspired by ikat designs. The judgment placed on people because of what we wear is nothing new, but it does not get us to a deeper understanding of the individual or of a culture that an indigenous style of clothing stands to represent. Williams made his infamous remark just after I had viewed this stunning collection at the Textile Museum. It hit home to me that we must expose ourselves to more cultures less familiar than our own, so we are more fascinated and less fearful, not judgmental without cause, and not just see a race or a religion, rather than the person in the clothing. My brand of image consulting is about more than advising people to look handsome and pretty. It’s about honoring a total person from the inside out – including those who you encounter. To be honest, this exhibit at the Textile Museum did this very thing for me, and in turn, I hope what I have shared with you does the same. How can someone who is a plain Jane incorporate something like this into their wardrobe? Well, Danielle, this question all depends on whether wearing clothing like this is appropriate for one’s personal style. A self-identified “plain Jane” of the West would not likely wear an ikat design. However, there are countless ikat designs, including some that are simpler and less vibrantly colorful. However, this is what is common among ikat textiles. So in Central Asia, a self-identified “plain Jane” would have a very different way of dressing in a “plain Jane” style. In terms of using ikat-inspired designs to augment your personal style, you could find smaller swaths of fabric and use it as an accent, such as a scarf. 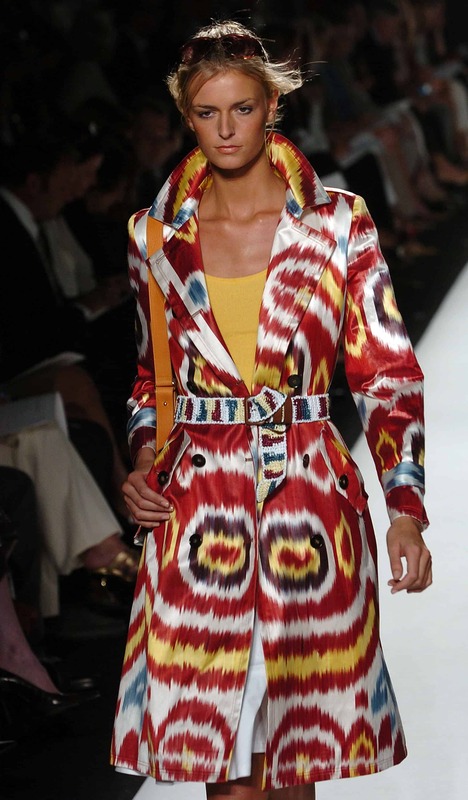 If you’re more creatively adventurous, you could wear something like the trench pictured in the blog. A “plain Jane” will be transformed into a “drama Queen” with one of those on, and all eyes will be on whomever is wearing something so bold. you know I have a love for fabrics, it doesn’t matter where they come from. Fabrics define cultures and populations. I very much appreciate your post and a bit of history. It’s so true what you say about fabrics, Valentina. Plus, fabrics are a key design element of fashions and interiors. What kind of world would we have without it? I may be “elegant” but I would definitely like to wear that trench or something similar! 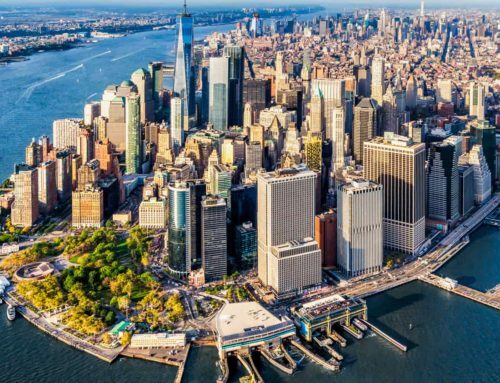 Loved the article-so interesting! Ha! Diane, I have no doubt there’s a way to pull that off. That style of trench creates quite a visual response.